Flynn proposed his deal to the Federal Bureau of Investigation and the House and Senate intelligence committees, a media report said. 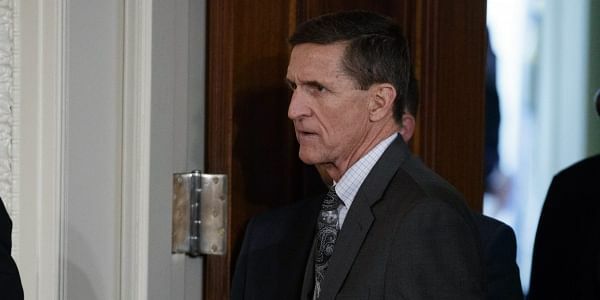 WASHINGTON: Ousted US national security advisor Michael Flynn has "a story to tell," his lawyer said Thursday amid reports that in exchange for immunity Flynn has offered to testify about potential ties between Donald Trump's presidential campaign and Russia. Flynn proposed his deal to the Federal Bureau of Investigation and the House and Senate intelligence committees, the Wall Street Journal reported Thursday night. Flynn, a close advisor on Trump's 2016 campaign, was forced to step down as the administration's national security advisor just weeks into the job last month. His resignation came after it emerged that Flynn made misleading statements about talks he held with Russian ambassador Sergey Kislyak during the presidential transition concerning Washington's sanctions on Moscow. The Journal said it wasn't clear what exactly Flynn had offered to discuss. But it quoted one unnamed official as saying the retired army general's bid for immunity suggested potential "legal jeopardy" for Flynn. Robert Kelner, a lawyer for Flynn, said in a statement tweeted late Thursday that "General Flynn certainly has a story to tell, and he very much wants to tell it, should the circumstances permit. "Out of respect for the committees, we will not comment right now on the details of discussions between counsel for General Flynn and the House and Senate intelligence committees, other than to confirm that those discussions have taken place." The New York Times quoted a congressional official as saying investigators are wary of cutting a deal with Flynn until they are further along in their probe and have a better idea of what information Flynn might offer. The Times also quoted an expert as urging caution over Flynn's offer of testimony. "At this early stage, I wouldn't read anything into this request beyond smart lawyering," Mark Zaid, a Washington lawyer specializing in national security cases, was quoting as saying by the Times. "In such a politically charged, high-profile national security case, I couldn't imagine not first asking for immunity," he added. "I would suspect both Congress and the FBI will first generate additional evidence from smaller players before deciding to immunize General Flynn," Zaid said, according to the Times. At least four investigations are underway into allegations that Moscow tried to swing November's presidential election in Trump's favor, as questions swirl about whether some in the Republican's inner circle colluded with Russia. The FBI, in an extraordinary admission, confirmed publicly last week it was probing the possibility of such collusion. A former US military intelligence chief, Flynn was generously paid to attend a gala of Russia's RT television in late 2015, where he sat together with President Vladimir Putin, raising suspicions among some critics about his ties with Moscow. His ouster came amid controversy over his discussions with Kislyak in late December, when the Obama administration was hitting Russia with retaliatory sanctions and expulsions for its election interference. Trump has said he did not instruct Flynn to speak with the Russian ambassador. However Trump defended the move saying it was the kind of thing a national security adviser would do as part of his job. But Flynn acted before the Trump inauguration, when Barack Obama was still president. And a never-invoked US law bars private citizens from engaging in foreign policy on behalf of the government. Soon after Flynn resigned, US Attorney General Jeff Sessions recused himself from any Russia-related inquiries, following the revelation that he, too, also met with Kislyak before Trump took office -- contrary to his testimony during his confirmation hearing before the Senate.